Release your inner artist free and make a wonderful, customized hard case. Prints a high quality logo directly on the case Has the default color in black, white or transparent. The Samsung Galaxy S6 Edge is probably one of the most unique phones on the market today. It is an absolute beauty and you want to keep it that way. Here at GoCustomized we have specially designed phone cases that fit the Samsung Galaxy S6 Edge. It ensures you can make use of the side swipe functions of your Edge and does not hinder visibility. The hard case from GoCustomized offers a high level of protection for your device. The hard case is made of a solid plastic which is in addition to offering great protection, a great printing surface. 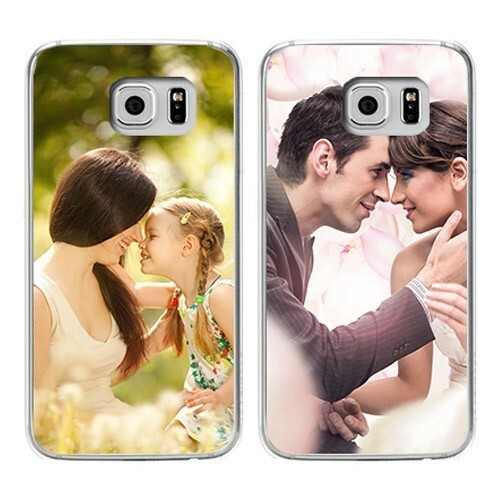 Design your own Samsung Galaxy S3 Edge hard case now! Making your own personalised Samsung Galaxy S6 Edge phone case is a breeze. Select your base colour first. The base colour will remain visible on the sides of the phone case. Once you have chosen your base colour, you can upload an image to use in your design. You can, in addition to uploading image from any of your devices, upload images from Facebook and Instagram. Add a little personal text for that perfect finishing touch. That is it! Your personalised Samsung Galaxy S6 Edge phone case is ready to be produced by one of your eager specialists. How long, till i receive my order? Happy with your design? Great. 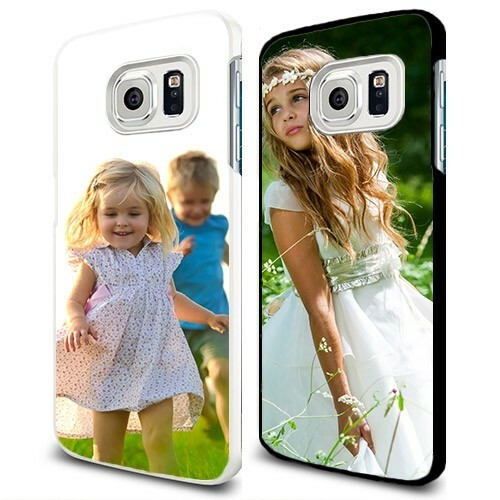 Order away so we can get started with your personalised Samsung Galaxy S6 Edge phone case. We ensure that your phone case is on its way to you within 24 hours of purchase. Should there be anything wrong with your design which would result in an unsatisfactory end result, we will contact you about it ASAP.